China called on Wednesday on Taiwan to stay out Hong Kong’s affairs, saying self-ruled Taiwan was “talking nonsense” about the former British colony and warning it not to damage Hong Kong’s stability. Chinese leaders are concerned about a fledgling independence movement in Hong Kong, which returned to mainland rule in 1997 with a promise of autonomy, and recent protests in the city. Beijing staged a rare interpretation of Hong Kong’s mini-constitution, the Basic Law, in early November to effectively bar pro-independence city lawmakers, Baggio Leung and Yau Wai-ching, from taking office there. The pair lost an appeal on Wednesday into an earlier Hong Kong court ruling that disqualified them after they insulted China while taking their oaths last month. Three Court of Appeal judges ruled that Yau, 25, and Leung, 30, had no grounds to re-take their oath as a matter of law. Yau and Leung, elected in September polls, have yet to confirm earlier plans to take their case to Hong Kong’s highest court, the Court of Final Appeal. Asked about comments from legislators from Taiwan’s ruling Democratic Progressive Party (DPP), which favors the island’s formal independence, offering support for Leung and Yau, China’s Taiwan Affairs Office said independence activists from both sides were trying to link up and sow chaos in Hong Kong. “Compatriots on both sides of the Taiwan Strait, especially those in Hong Kong, should be on high alert for this,” spokesman Ma Xiaoguang told reporters in Beijing. “The words and deeds of Baggio Leung and Yau Wai-ching run contrary to mainstream public opinion in Hong Kong and Hong Kong resident’s basic interests, but relevant parties in Taiwan are helping them, to what intent?” Ma asked. “We advise the Taiwan side not to talk nonsense about the Hong Kong issue, interfere in Hong Kong’s enforcement of ‘one country, two systems’, or damage Hong Kong’s prosperity and stability,” he said. Hong Kong returned to China under a “one country, two systems” agreement that ensured its freedoms and wide-ranging autonomy, including a separate legal system. China considers self-ruled Taiwan a wayward province and has never renounced the use of force to bring it under its control. Defeated Nationalist forces fled there at the end of a civil war with the Communists in 1949. Relations between China and Taiwan have worsened since the election of the DPP’s Tsai as Taiwan president in January. China’s Defence Ministry on Wednesday expressed serious concern about South Korea and Japan signing a military intelligence pact to share sensitive information on the threat posed by North Korea’s missile and nuclear activities. The signing of the General Security of Military Information Agreement had originally been expected in 2012, but South Korea postponed it due to domestic opposition. The case for the neighbors to pool intelligence has increased, however, as North Korea has been testing different types of missiles at a faster rate, and claims it has the capability to mount a nuclear warhead on a missile. Chinese Defence Ministry spokesman Yang Yujun said the move would add a new unsafe and unstable element to northeast Asia and smacked of a Cold War mentality. “China’s military expresses serious concern about this,” Yang told a monthly news briefing, adding to previous opposition to the deal from the Chinese Foreign Ministry. “We will make all necessary preparations, earnestly perform our duties and fulfill our mission, resolutely protect the country’s security interests and resolutely protect regional peace and stability,” he added, without elaborating. Beijing is North Korea’s most important supporter despite Chinese anger at its missile and nuclear tests in defiance of UN Security Council resolutions. Earlier this month, the Chinese Foreign Ministry said the agreement would add to tension on the Korean peninsula. Reclusive North Korea and the rich, democratic South are technically still at war because their 1950-53 conflict ended in a truce, not a peace treaty. The North regularly threatens to destroy the South and its main ally, the United States. China has also been upset with South Korea for agreeing to host an advanced U.S. anti-missile system, saying it threatens China’s strategic security. South Korea went ahead with the deal despite opposition from some political parties and a large section of the public, who remain bitter over Japan’s actions during its colonial rule of Korea from 1910 until the end of World War Two. 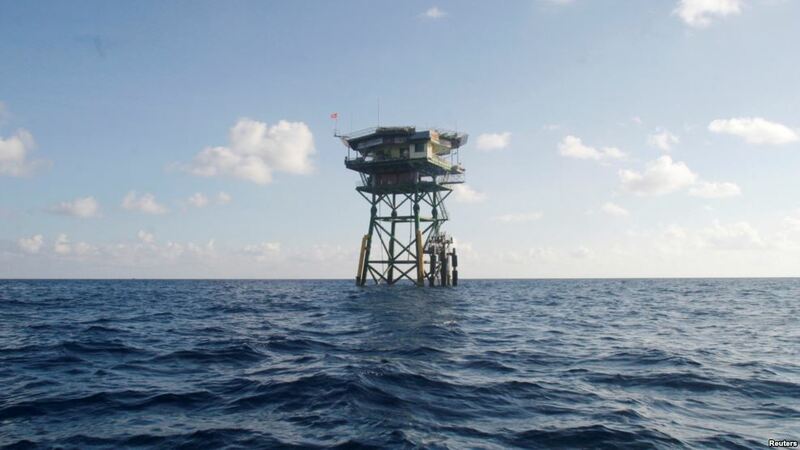 FILE – A Vietnamese floating guard station is seen on Truong Sa islands, or Spratly island. Vietnam is lengthening a military runway on a tiny islet to help hold off a larger, more aggressive China for control in Asia’s widest-reaching sovereignty dispute as other claimants keep quiet or seek negotiations. The government in Hanoi is extending the runway on one of the Spratly Islands, a disputed archipelago in the South China Sea, from 762 to 1,005 meters and building new hangars, according to the U.S. think tank Center for Strategic and International Studies. The longer runway would allow easier access for the air force’s maritime surveillance aircraft, it said. Historic use of the sea, strong national pride and a history of deadly conflicts are motivating Vietnam to fortify more than two dozen islands in the chain. “The Vietnamese have to play a very careful game,” said Adam McCarty, chief economist at Mekong Economics in Hanoi. “They don’t really want to provoke China, but they also can’t just let China do whatever it wants to do. China has also irritated Brunei, Malaysia, Taiwan and the Philippines since 2010 with its quick expansion into the 3.5-million-square-km (1.4 million-square-mile) ocean. But other governments normally keep quiet when China passes ships through their maritime zones. Malaysia, for one, hopes to protect its extensive trade and investment relations with the world number two economy, while Brunei is also quiet. The Philippines, once hostile enough to take the maritime dispute to a world arbitration court, began making peace with China in August. The two sides may now explore jointly for undersea fossil fuels. Vietnam has already done landfill work on 27 South China Sea islets, more than any other claimant, though China’s land reclamation is grabbing more headlines. Vietnam has also acquired submarines and spent heavily on military expansion over the past eight years, analysts note. Vietnam is uniquely wary of China for historical reasons, analysts say. The two sides fought a border war in 1979 and have reported three major clashes at sea. An incident in the Paracel Islands in 1974 sank a South Vietnamese navy ship with the captain on board, killing a total 71 from both sides. A 1988 naval battle left 64 Vietnamese dead. From 1992 to 1996, Vietnam staved off China’s efforts to explore some of the sea’s islets, but China has taken an upper hand since then despite a 2007 plan in Vietnam to link maritime resources to its coastal economic development. Two years ago Vietnamese and Chinese vessels rammed each other in the Gulf of Tonkin after China allowed an offshore oil driller to position a rig in overlapping waters. The oil rig incident sparked anti-China riots in Vietnam and left 21 dead. Vietnam protested a Chinese rig using the same waters in April. “I think, number one, they have very unfortunately experienced in the past that they have had actual military confrontation with China in terms of protecting their maritime interests,” said Andrew Yang, secretary general with the Chinese Council of Advanced Policy Studies think tank in Taiwan. Vietnamese people have used the South China Sea for hundreds of years, stoking the nationalism behind today’s dispute with China. Before North and South Vietnam were unified in the 1970s, the south maintained military and civilian communities in the Spratlys. Its claims to the ocean now also overlap with Malaysia and the Philippines. Vietnamese officials once believed the South China Sea to hold oil and natural gas reserves off their south coast, McCarty said, but they eased away due to the cost of exploration. The country is not “sophisticated” in deep-sea fishing, another common economic reason countries cite for their interest in the South China Sea, he said. As China builds up tiny disputed islets with the capability of launching planes, Vietnam fears its claims will be harder to defend, McCarty said. Still, the country counts China as its top supplier of raw material for a fast-growing manufacturing sector. China is also Vietnam’s top trading partner. The Communist government in Hanoi squelched the 2014 riots in part to keep peace with Beijing. In September, Chinese Premier Li Keqiang and Vietnamese Prime Minister Nguyen Xuan Phuc pledged to manage their differences over maritime issues. At the same time, Vietnam is pursuing closer security ties with Japan, India and the United States as a bulwark against China. “They’ve gone much further than Malaysia and much, much further than the Philippines to be able to represent a deterrent [to China],” said Carl Thayer, emeritus professor of politics at The University of New South Wales in Australia. In May the U.S. government lifted a 30-year-old embargo against selling lethal weapons to Vietnam and separately it has offered $18 million in military aid. Japan is also sending maritime patrol boats to Vietnam. China prefers two-way talks with rival maritime claimants to solve disputes and has lashed out at the United States for intervention. “Vietnam had long been negotiating bilaterally with China, but Vietnam is different in saying that where third party interests are involved, then they have a right to be involved,” Thayer said. Note: This is VOA’ article I post here for readers’ information. It does not mean that I agree or disagree with the article’s views. Do we really have the money for high-end, extended, near-endless military campaigns? In combating asymmetric threats, we have to ask ourselves, on which side of the asymmetry do we sit? Typically and almost in a cliché manner, we depict our side as superior – we have the technology, we have the equipment, we have the on-going development capabilities. But do we really have the money for such high-end, extended, near-endless military campaigns? Consider the defensive action by USS Mason in the Red Sea in October 2016. Its response to a rebel attack compels us to rethink the cost factor involved in defensive measures, and how we popularly interpret the costs of war and national security. A few short seconds of fending off a Yemeni rebel attack cost the United States NAVY (USN) an unsettling $8 million. Cost of the rebel attack: $500,000 or less than 10 percent of USS Mason’s reaction. The USS Mason example illustrates how high-tech warfare, albeit adequate in purely military terms, is, in a larger strategic context, a flawed option. In this article, we advocate a realignment of security and defense debates to position them in the context of what it means to wage high-tech war in the twenty-first century. The asymmetry of warfare has never been more evident than in the material costs of warfighting. America’s wars of the twenty-first century against non-state soldiers or non-state militants seem to require high and higher-tech weapons. They will include machines necessary for fast and effective transportation, weapons that kill and do not kill, personal equipment as part of soldiers’ combat uniforms, “unmanned” or remote equipment, anytime/anywhere communications technology, robotic platforms, global surveillance and instruments like the Low-Cost Imaging Terminal Seeker (LCITS), and a turn to non-petroleum fuels. The costs associated with these requisite weapons and equipment are staggering. Smart technologies/equipment/weapons – items usually associated with the obligatory “precision” characteristic, non-lethal element, or“green energy” dimension cost a fortune. By contrast, non-state actors (NSAs) are not beholden to similar budgetary cutbacks, environmental considerations, or human rights and treaty compulsion. Attack and response costs for NSAs (typically insurgents and terrorists, or generally militant extremists) are grossly disparate in cost. Thus, this kind of high tech warfare is becoming increasingly economically unviable for high-tech states and organizations like the United States and the North Atlantic Treaty Organization (NATO). It is necessary for states to consider the dissonance between low-tech attacks and high-tech defensive responses. As it stands now, high-tech states, due to their military preferences and strongly embedded high tech warfare cultures, have not really considered the options for low-tech response. War, or just simple security for that matter, has been reconfigured by states, with their advanced and technological weaponry, to become high-cost. In contrast to asymmetric enemies with much cheaper systems, this raises the question: What response options are available to countries like the United States if NSAs pursue cost-effective approaches to combat and the West. What are the potential ramifications of lost-tech/low-cost warfare against high-tech/high-cost security/defensive measures of states? It is unlikely that the United States can sustain such a war. U.S. military action against the Islamic State (IS) costs American taxpayers well over $600 thousand per hour. The cost of war in Afghanistan by the latter half of 2016 stood at $750 billion and $819 billion for combat missions in Iraq that could alternatively be funneled toward other more critical military and nonmilitary (i.e., statebuilding) projects. 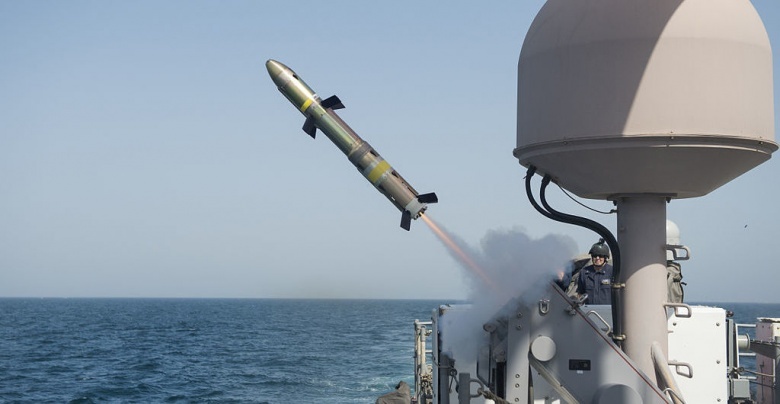 The costs of U.S. military action, either offensive or defensive, stand at around $1.5 million for just one medium to long-range subsonic cruise missile like the Tomahawk. A single air-to-ground (AGM-114) Hellfire means an injurious cost of some $115 thousand. The shoulder-rocket named the Javelin costs some $150 thousand each. The APKWS II is about $28 thousand per unit. Our departure from bombs and embrace of precision-guided munitions (PGMs) and smart weapons generally has come without clear and constant consideration for the fact that precision has its costs. “Cheap” laser-guided weapons can have a price tag of up to $250 thousand attached to them. One glaring flaw inherent in these weapons is their lack of deterrence. If they are to be used for security, there ought to be a purpose in their non-use; however, their non-use fails to deter the principle threats in a not-so-state-centric international realm. We are confronting a similar friction observed after decades of spending trillions of dollars on nuclear weapons of all sorts, the nuclear-powered aircraft, a nuclear-powered cruise missile (PLUTO), as well as a nuclear torpedo called ASTOR (otherwise referred to as “underwater insanity”) designed to be used against submarines. In the latter, the use of such a torpedo would have meant the destruction of the submarine that launched it as well as the target. The idea of war is to cause destruction or damage to the enemy with the least possible damage to oneself, if any at all. That logic fails us in the case of ASTOR and serves as a metaphor for security and defense logic today in considering the weapons being designed and developed to guard against and pursue rebels like those who launched their rickety old rockets at a billion-dollar U.S. warship, which in-turn spent, a disproportionate sum to prevent that attack. It is interesting how we have escaped our quantity-obsessed attitude toward defense that consumed us during the Cold War – the thinking that apparently kept us safe – only to fall into the same quality-based obsession to secure ourselves against threats technologically inferior to anything we faced between circa 1945 and 1991. We should be alarmed at the potential reduction in the human costs of war if we are moving toward increasingly robotic warfare, and with this, the possibility of warfare becoming entirely economic. This could be the case in asymmetry as well as in conflicts between high tech actors. Combat – particularly robotic combat – could become ultimately a purely economic affair in which the states that have the economic resources to sustain a longer robotic warfare campaign win. In this, the inhuman element of future combat would not only release the concept of human casualties, but likewise begin sketching a different template for warfare, perhaps even cause a paradigm shift in warfare, from which point warfare could be solely an economic affair. This could in a sense create an incentive for actors to try to fight wars on the cheap – particularly against actors bound by their high-tech warfare capabilities. We often think of our military capabilities as one that allow us to dominate the battlefield, to achieve full spectrum dominance and enemy/threat enclosure. Turning to “unmanned” systems, or (small) drones, such technology could start a new era of warfare in which actors with lesser-economic possibilities, not just capabilities, can seize upon the opportunity to expand the space of the battlefield to their benefit, namely through the use of simple drones, loaded with explosives. In this, actors would exploit different avenues or new ways (for them) of attacking their enemy. Today, we overkill the enemy using expensive technology and weapons that we mistakenly perceive to be produced at bargain prices. Comparing what the United States spends on defending against extant threats to what terrorists and insurgents spend presents a shrill contrast. It is as effortless as taking a stroll to a gun market. The going price for an American-made M-16 is $200, $400 for a Chinese- or Russian-made AK-47, and $150 for a rocket-propelled grenade (RPG) at a gun market in Somalia. Obtaining the requisite small arms necessary to cause widespread panic and casualties on and off the battlefield is like sifting through used clothing at a flea market – no permission, no identification, no papers, no checks required; you just choose your weapon, pay, and be on your way to attack whomever you like. A standard suicide bomber belt costs just $150. Perceptions of contemporary security and defense have to align with the costs associated with rebel attacks, the current economic climate, and the idea that abstaining from the purchase of a single $1-1.5 million cruise missile would enable the United States and others to purchase less-technologically sophisticated alternatives capable of achieving near-similar ends. The debate about national security and military effectiveness should not be solely conducted within the existent framework. Economic perception and reality must be discussed too. Tobias Burgers is a Doctoral Candidate at the Otto-Suhr-Institute (Free University of Berlin) where he researches the rise and use of cyber, robotic systems in security relations, and the future of military conflict. Scott Nicholas Romaniuk is a PhD Candidate in International Studies (University of Trento). His research focuses on asymmetric warfare, counterterrorism, international security, and the use of force. 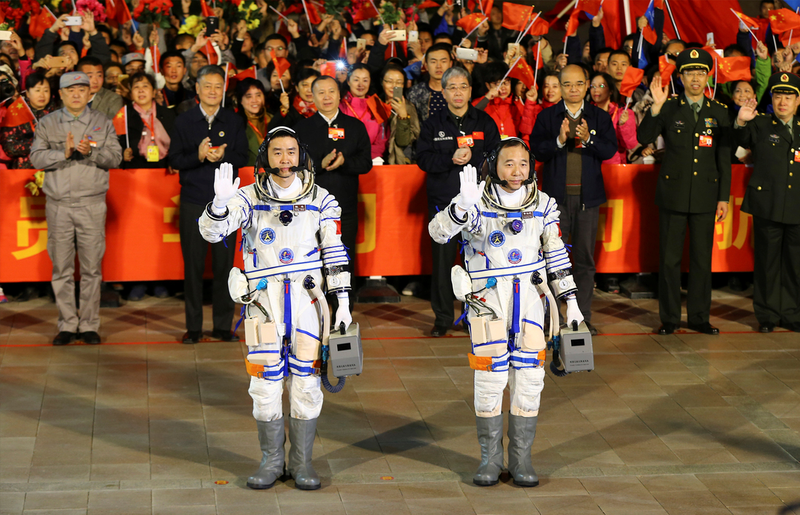 The launch of the Shenzhou 11 spacecraft in western China last month marked another great leap forward for the nation’s space program and its ambition to send manned missions to the moon and, eventually, Mars. 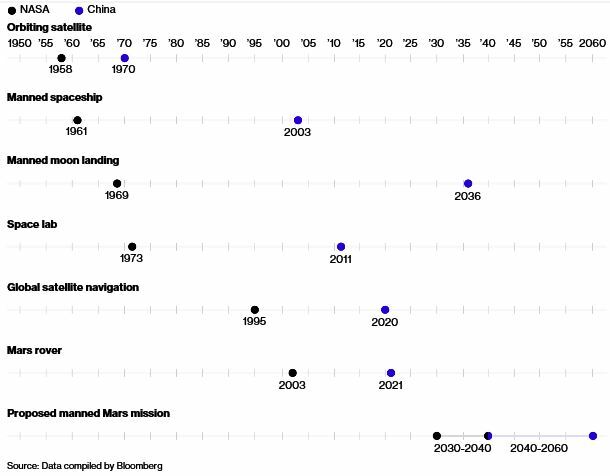 Yet more than national prestige is at stake: China is counting on its space program to pay huge economic dividends. China is NASA’s biggest rival in space exploration with plans to land “taikonauts” on the moon by 2036 and Mars thereafter. Along the way, President Xi Jinping hopes the space missions will spawn a wave of Chinese innovation in robotics, aviation and artificial intelligence, among other leading 21st-century technologies. China’s space program is generally shrouded in secrecy, yet Xi’s government is now reviewing a proposal by top researchers to triple investments into scientific missions, according to Wu Ji, director-general of the National Space Science Center. The hope is that advancements made while building new telescopes, monitoring Earth’s water cycles and improving satellite navigation will revive state-owned enterprises and inspire the startup of private ones. China’s ongoing five-year plan strives to “make original achievements” in fundamental sciences and “lead the development of cutting-edge space technology.” A central economic strategy calls for 70 percent of key technology components—such as semiconductors and software—to be produced domestically by 2025. To get there, Wu and dozens of researchers asked the central government to boost investment into space science from the 4.7 billion yuan ($695 million) spent in 2011-2015 to at least 15.6 billion yuan in 2026-2030. 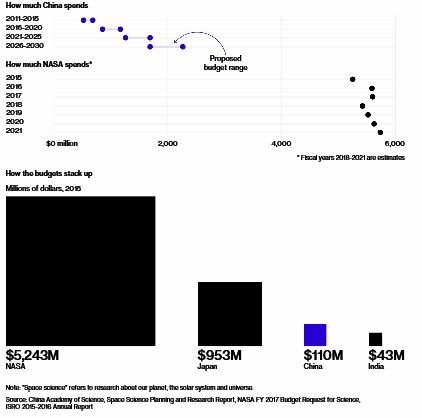 That would trail NASA’s space science budget of about $5.6 billion, but a decade ago China spent zero on that effort, Wu said. The government instead poured money into projects with political significance or immediate practicality: rockets, military satellites and vessels for manned flights. It also developed weapons: In 2007, the nation tested an anti-satellite missile by blowing up a Chinese craft. Now, China is spending big on scientific endeavors, launching the world’s first quantum-communications satellite and a telescope to search for dark matter in the past year alone. “Scientific space research is expensive and sees very little practical benefits in the short term,” Wu said. The precise extent of China’s space spending isn’t known, but what’s clear is that some U.S.-based analysts are concerned that China is hitting the accelerator as NASA hits the brakes. NASA ended the space shuttle, abandoned plans to return to the moon and is only committed to the International Space Station until 2024. China’s stated goals to build its own station, land on the dark side of the moon and put a rover on Mars—all by 2022—prompted U.S. congressmen to ask: “Are We Losing the Space Race to China?” The nation started manned missions in 2003 and launched two more taikonauts in Shenzhou 11. “China’s more deliberate and comprehensive approach will open up opportunities for Beijing to derive important economic, political and diplomatic benefits from its space program,” Dennis Shea, chairman of the U.S.-China Economic and Security Review Commission, told the committee Sept. 27. Even though NASA already landed on the moon, giving China the chance to accomplish that while the U.S. focuses on manned flight to Mars in the 2030s may backfire, said James Lewis, senior vice president at the Center for Strategic and International Studies in Washington. The initiatives come as China’s economy moderates after decades of supercharged growth. Gross domestic product expanded 6.7 percent during the first three quarters—heading for its slowest pace since 1990—and exports fell for a seventh month. The return on assets for state-owned enterprises was an estimated 2.8 percent last year, compared with almost 11 percent for private-sector companies, according to Bloomberg Intelligence. Xi pledged to move China away from the cheap labor-and-debt fueled export model. To generate momentum, local governments are deploying 3 trillion yuan to invest in biotechnology, internet and high-end manufacturing companies that can replace stumbling heavy industries. China has 38 startups worth at least $1 billion, according to CBInsights’ “Unicorn List.” They include UBTECH Robotics Corp., genome researcher iCarbonX, online educator iTutorGroup and app developer Apus Group. Xi wants that list to be longer. He told Communist Party underlings last month that internet and information-technology businesses should drive China’s economic growth, and he called for breakthroughs in high-performance computing, semiconductors, quantum communications and software operating systems. Some entrepreneurs are inspired by Musk, even if they can’t have the same autonomy because the military controls space flight. Hong Kong-listed KuangChi Science Ltd. is developing an exoskeleton that increases strength, a jet pack so people can “fly like Iron Man” and a capsule to take tourists into space via a giant balloon. “Commercial activity, invention, research and investment will be very hot in this area in the next five to 10 years,” founder Liu Ruopeng said. Chinese scientist and entrepreneur Ruopeng Liu is turning science fiction into reality. From cutting-edge computing to space-faring technology, there’s no project too far-fetched. He’s been dubbed China’s Elon Musk and now he wants to take you to the edge of the atmosphere. Wu, with the Chinese Academy of Sciences, wants to inspire those efforts. The academy has championed space projects since the 1950s, when Mao Zedong decided to make China the third nation with a satellite in orbit. In those early days, scientists did drawings on a cement floor and relied on candlelight to design prototypes for satellites and rockets. As China moves farther into the stars, it’s doing more to study them. 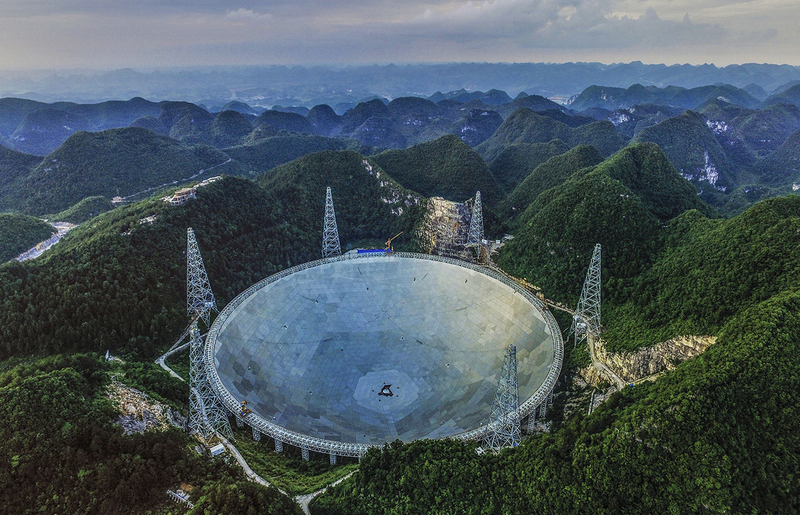 In September, it turned on the world’s largest radio telescope in Guizhou after 22 years of planning. The 500-meter-wide dish searches for radio waves emanating from far reaches of the galaxy—helping scientists learn more about cosmic phenomena and even listen for aliens. Xi said the telescope, dubbed “China’s eye of heaven,” will fuel economic growth since the nation holds its intellectual-property rights, state-run Xinhua News Agency said. In 2020, China will launch a satellite to study the Earth’s water cycle by measuring soil moisture, ocean salinity and ocean surface evaporation. It’s one link in the Water Cycle Observation Mission, an effort with the U.S. and Europe to help forecast floods and droughts, and maintain food security, the academy said. The nation also is developing the homegrown Beidou navigation network as an alternative to the U.S.-run Global Positioning System. China wants a constellation of 35 Beidou satellites covering the world by 2020, according to the nonprofit Colorado-based Space Foundation. Beidou provides improved security against interference and interception for military users, and guides about 40,000 fishing boats in the South China Sea, one of the world’s busiest shipping lanes and the vortex of international territorial disputes. More than 30 countries use the Beidou system, according to the government. Note: This is Bloomberg’s article I post here for readers’ information. It does not mean that I agree or disagree with the article’s views. China’s first homegrown aicraft carrier with prefabricaed modues installed. Mil.news.sina.com.cn says in its report yesterday that as the hull has been built. 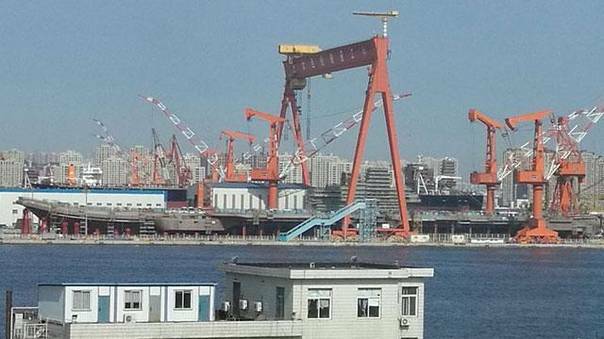 all the prefabricated modules, installed and the bottom is being painted, China’s first homegrown aircraft carrier may be launched next month. According to US experience, outfitting takes half of the duration of the construction up to launch, which is three years for the carrier, the carrier will be commissioned in the later half of 2018. 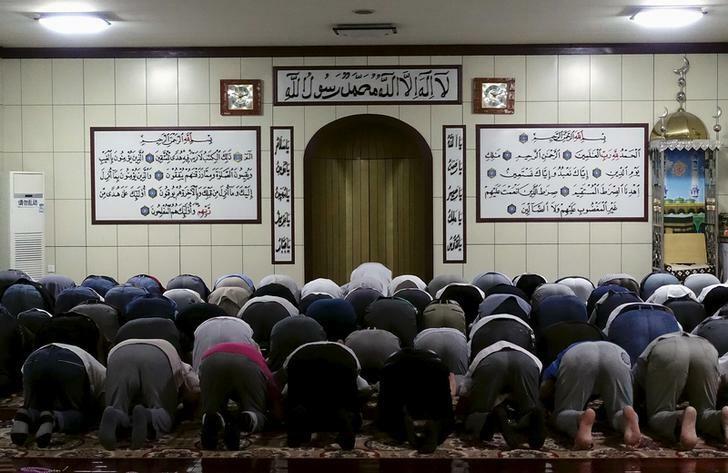 Religious extremism has begun to spread to inland China from its western Xinjiang region, long considered by the government to be at the forefront of its efforts to battle Islamist separatists, the country’s top religious affairs official said. China says it faces a serious threat from Islamist militants in Xinjiang, which borders central Asia, Afghanistan and Pakistan, and is home to the largely Muslim Uighur minority group. Hundreds have died there in recent years in violence that Beijing blames on religious extremists, and the government has put in place tight controls on religion in the name of combating radicalism and maintaining stability. Extremist thought was now infiltrating China’s “inland provincial areas”, Wang Zuoan, head of the State Administration for Religious Affairs, told the National Congress of the Chinese Islamic Association, according to an article in the official China Daily newspaper on Monday. The paper did not give details of the spread or mention specific provinces, but cited Wang as saying China’s official Islamic clergy must be the “front line” in fighting extremism and should work to “convert” those influenced by it. “We should let Muslims know the boundaries between legal and illegal religious activities, to enable them to say no to illegal activities,” he told the association on Saturday. Wang also said that China must “appropriately manage the issue of Menhuan Sect Islam”, referring to a Chinese-style Sufism, a mystical form of Islam, according to a statement posted on the State Administration of Religious Affairs website. China has about 21 million Muslims, only a portion of which are Uighur. Other Muslim groups, such as the Hui, are spread throughout the country, including in the western region of Ningxia and the southwestern province of Yunnan. President Xi Jinping has urged Chinese Muslims to resist illegal religious “infiltration”. Attacks tied to such extremism by the government have spread beyond Xinjiang in recent years. A grisly knife attack in Yunnan’s Kunming train station in March 2014 killed more than 30 people. Rights groups say that unrest in Xinjiang often stems from localized incidents that boil over into physical violence, fueled by ethnic tension and religious and economic repression of Turkic-language speaking Uighurs. Beijing regularly denies religious discrimination against minorities in Xinjiang or elsewhere. Despite a resurgence of religious faith, officially atheist China restricts believers to a handful of recognised religions overseen by the state.